Does she dream if being a pilot? 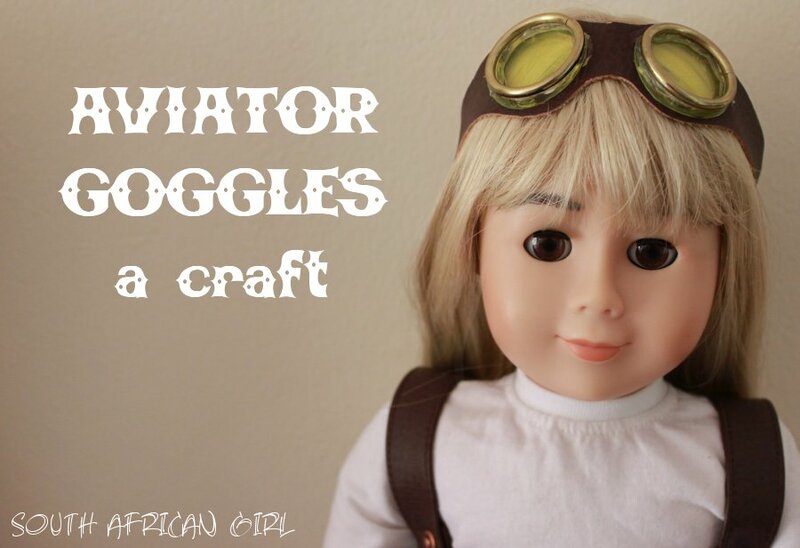 Zoe loves adventure and she often dreams of what it would be like to be a pilot when biplanes filled the skies. Wouldn't it be great to sit in this open cockpit aircraft with a great aviator like Amelia Earhart. Aviator Hats and Goggles became popular in the early days of the 20th century as open cockpit airplanes grew in use. Pilots needed a hat to keep their heads and ears warm, as well as goggles to protect their eyes in flight. Make your own pair of Aviator Goggles for your doll. CLICK HERE to go to the site where you can download the template and instructions. Those are really cool! We were just reading the Peanuts comics in the paper. It was on Snoopy and the Red Baron. My daughter said, "Who's the Red Baron again"? That's what these remind me of! Love the vintage! Glad you like it! The Red Baron... that is true! I never thought of it... I love the vintage too!